Tue., Feb. 13, 2018, 8:26 a.m.
SCOTTSDALE, Ariz. – Madison Bumgarner has been back on a bike, though it’s hardly his first choice for fun. He rode a horse a handful of times this offseason. More than anything, Bumgarner is looking for a bounce-back season after the most forgettable one yet for the ace of the San Francisco Giants. The 2014 World Series MVP missed nearly three months after a dirt bike accident April 20 during an off day in Colorado. It was an embarrassment, yet the left-hander took ownership of his mistake from Day 1. Bumgarner is focused on baseball, with Giants pitchers and catchers reporting to spring training Tuesday and set for their first workout Wednesday at Scottsdale Stadium. Riding doesn’t interest him much these days. “Nah, I don’t care to,” he said. “That’s just the big thing, not because I’m afraid to do something, just because it’s not the best thing for me to do. I’m kind of day to day in my regular life, too. I’m not just trying to say that just because it’s the easiest answer, that’s just how I do stuff. But not to say that I don’t think about last year now and then. As bad as it sounds, stuff like that makes people stronger and better people also. Manager Bruce Bochy was in San Diego undergoing a heart procedure when he got word of Bumgarner’s accident. Bumgarner had nearly finished a ride of more than two hours in the mountains outside Denver when his rented dirt bike slipped on the trail and took him to the ground. He bruised his ribs and sprained the AC joint in his pitching shoulder. After six straight seasons with double-digit wins, more than 200 innings and 30-plus starts – the previous three years with 18, 18 and 15 victories – Bumgarner went 4-9 with a 3.32 ERA in 17 starts and threw just 111 innings to match his total from 2010 when he came up in June. He had dazzled ever since. His injury last spring provided a blow when the Giants were already off to a rough start. They finished a surprising last in the NL West at 64-98. Now, the Giants have a new right fielder in Andrew McCutchen, third baseman Evan Longoria aboard in a trade from Tampa Bay and Austin Jackson as a versatile outfielder. 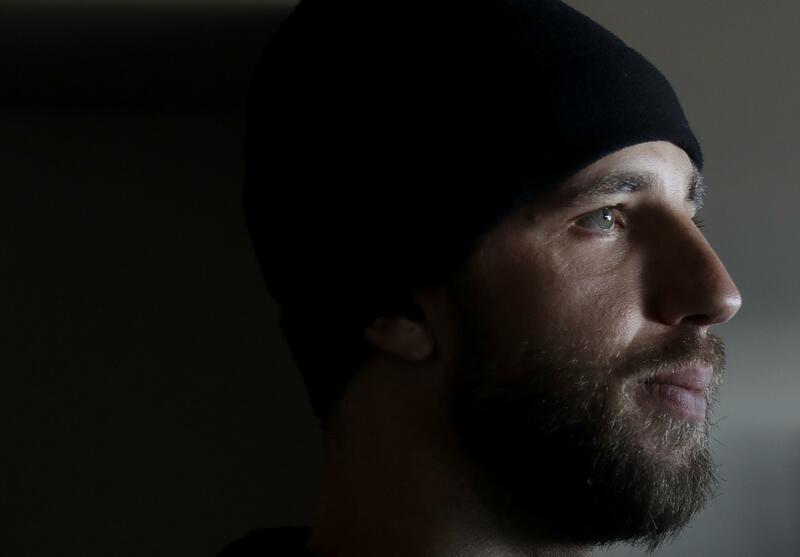 Bumgarner won’t say that his own injury-shortened year combined with San Francisco’s failure fueled him this winter, but it didn’t hurt to give him an extra push to get to work. He took just two weeks off after the season and then returned to conditioning work, when he typically would wait about a month to six weeks before getting going again. The 6-foot-5 Bumgarner has long been durable and his arm always fresh, so he refuses to buy into the idea he might be even stronger this season having worked so few innings in 2017. He began his throwing program Jan. 1 as usual. Published: Feb. 13, 2018, 8:26 a.m.